Meet The Student Writing Challenge WINNERS! We challenged Middle School and High School students to write a poem about or a letter to an inspirational woman on the Pine Ridge Reservation, past or present. The entries were scored gender-blind and anonymously by our amazing JUDGES. There will be a separate blog post about the awards ceremonies, which took place on/around International Women’s Day, on the Pine Ridge Reservation on March 7 and 8, 2013. 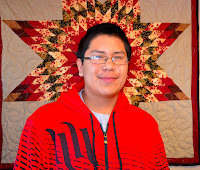 Get ready to be INSPIRED by students on the Pine Ridge Reservation… We were! Melissa Rain Hernandez is a Senior at the Little Wound School in Kyle, SD and she awed the judges with an inspirational poem about Anna Mae Aquash, a former activist and member of the American Indian Movement, who was murdered in late-1975. 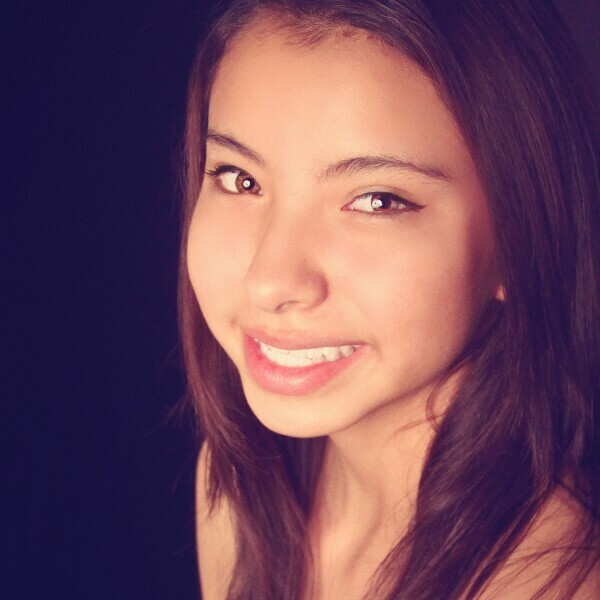 Melissa’s Lakota name is “Tehilapi Win” which means “loved one.” She has lived on the Pine Ridge Reservation for the last four years and she hopes to attend the University of California at Berkeley. Melissa has won numerous awards for her written work. In addition to her inspirational poem, you can read more by Melissa — one of her Award Winning Fiction Pieces is published online! Melissa is the Grand Prize winner of our High School category, and among other things won a $300 gift certificate, a plaque, a certificate, a journal, a book from Jasmine Mans AND Melissa won for the Little Wound School a grant to purchase up to $1,000 of supplies or equipment for the school and/or its students. The Little Wound School applied the grant to digital cameras and supporting equipment and books for a Senior High School class. in patches surrounded by dirt.A ghost of what you used to be. 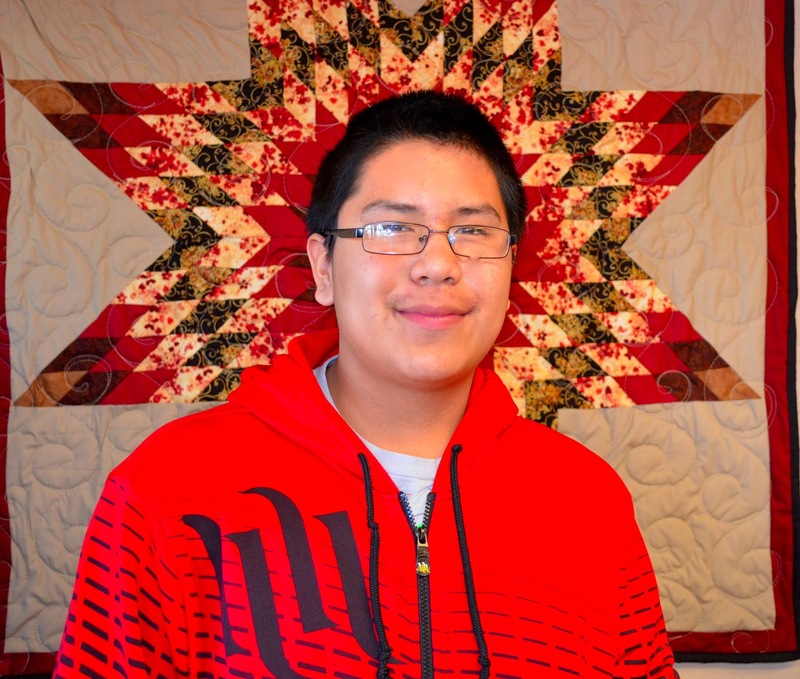 Ray Fast Wolf is in the eighth grade and is an excellent student at Red Shirt School, and he awed the judges with his touching poem about his Unci (grandmother in Lakota). The Red Shirt School says that Ray is one “of the best Red Shirt School has to offer… “a powerful example of behavior for the younger students in our school, for his peers in class and in the team sports that he participates in.” Ray has received numerous awards and was a member of the 2011 All Tourney Team for basketball, the 2012 Football Championship Team and a member of the Lakota Language Bowl Championship team at the Lakota Invitational Educational Conference. Ray’s written work was published recently in “What Makes a South Dakotan?” for the South Dakota Humanities Council. Ray is the Grand Prize Winner in our Middle School Category and among other things, earned a $200 gift certificate, a plaque, a certificate, a journal, a book from Jasmine Mans, AND Ray won for the Red Shirt School a grant for up to $1,000 of supplies or equipment for the school and/or its students. The Red Shirt School applied the grant to purchase laboratory tables for its science classrooms. She is fair, she is right when we feel bad. She and I hardly ever fight. When I am done, I give her a smirk. She should not have to carry us around. Her eyes shine like a jewel. Her hair is curled. That is what my grandpa always says. The Middle School and High School Runners-Up all won a $100 gift card, a certificate, a journal, a book from Jasmine Mans. Summer Montileaux is in the eighth grade at Our Lady of Lourdes Elementary School in Porcupine, SD and awed the judges with her poem about her mother. Summer lives in Rockyford, SD, with her mother and two other siblings. Summer started writing short stories in third grade, and after the death of her grandfather when she was in sixth grade, she started writing poetry. 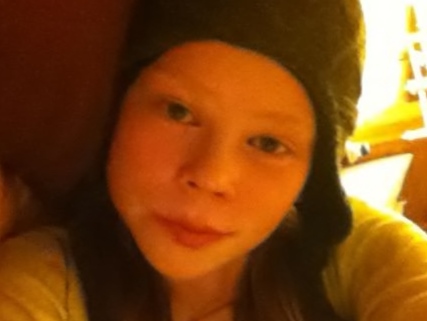 Summer has performed her poetry in many competitions and she finds inspiration in music, books and poetry. Summer says that poetry is a stress reliever — it is an activity into which she can pour her feelings. Summer plans to continue to write. The following is her poem; Be Inspired! From thy womb, til’ now she has been my keeper and protector. My warm blood in my veins is shared with her. My protector has protected me from the temptation of this cruel world. Protected my body inside of thy womb, and out. My keeper fights through the troubles that face her and comes through. The faces, the harmful words of people who do not know, how strong and wise she is. How humble and generous my lady is. All day, everyday, she worries about me and my troubles, and if I’ll be here the next hour and day. My life, is the gift she gave me. The most spectacular, wonderful gift I’ve received from her. Til’ my last day, til’ my last breath, of everyone that can, I love her the best. In every moment we share, I swear we are infinite. She is my keeper, protector, best friend, my mother. Who has clothed me, fed my body, and fixed every problem with love and kind words. She is the one who inspires me, with everything she has done. Her mistakes and flaws make her, that’s beauty I see. We both accept it, and that’s what matters. Wasu runs cross country and has placed in the top ten in many of her races. Wasu also plays basketball and won the sportsman challenge at a recent basketball tournament. Wasu is on the Little Wound Middle School Lakota Language Team, which won the SDABBE Lakota Language competion in fall of 2012. Her hobbies include photography, video making, writing poetry, and rock hunting. The following is her poem; Be inspired! But maybe it was because she always looked prepared. And when I got to know her I knew she would always be there. And that is when I first got to meet her. The smart person I am now she helped me earn. And into our hearts deep down she would reach. She gets things done good and snappy. She’s smart, she’s cool, of all teachers she’s the one who rules. Wherever I am I will forever remember. And none of them, I promise none are bad. just like any body else in the world should. Any body could like it, and any body would. to any body in any place. if you need help she’ll be your human ladder. She’s my role model for sure. and also good at multiplication. but I really wish she would stay in Kyle. And she follows her heart’s deep desires. She’s a good believer any one can tell. and also very over whelming. Just like the heavens she is above. And I am very lucky because a person like her is hard to find. Because she has her own good way. and her self is a very vibrant person and that is that. Colton Sierrais a High School student at the Red Cloud School who awed the judges with a letter to his mother, a teen mom who raised children, finished High School, obtained a Bachelors Degree, a Masters Degree and now is working on a Doctorate! Colton enjoys playing golf and basketball and hopes to go far in education and/or music. The Writing Challenge permitted the entry of a poem about or a letter to an inspirational woman. Below is Colton’s letter to his mother. BE INSPIRED! You are my light, my creator. You are the mother to my siblings and me. You became a mother to your first child when you were at the young age of 17. Dad was always on the road riding bulls and chasing his dreams. You still managed to raise my older sister and graduate from high school. You were still able to provide for my older sister when you were just about moneyless. You are a strong woman, Mom, and I know you only get mad at us because that’s one of the ways that you teach us. You try your hardest to keep us in line and you do a wonderful job. It’s just that your kids, well, are a little crazy; just like you and dad. Another thing that makes me grateful for our life is how you went out and got a bachelors degree and a masters degree and you are even working on getting your doctorate! A teen mom that turned into a successful woman -– a story that is uncommon—but your toughness pushed you through all of the turmoil. All of the hard times people face now is something that isn’t foreign to you. You’re slowly growing to be a wise old woman, mom, and it’s because of all the experiences that you’ve been through. You showed me that being weak will not get you anywhere and that you must stand up and face your fears. You inspire me to be courageous and to persevere through the dark because the light that shines in the end is amazing. You are a strong woman – I love you mom. WOPILA TANKA: Thank you to all of the students who participated in this challenge–you all awed the judges. Although the judges were tasked with identifying winners, they were truly impressed by all of the entries and hope that everyone – all entrants – will continue to write and to put their voices out for others to hear. The JUDGES for their thoughtful consideration of the entries, for visiting the Reservation, providing workshops at the winning schools and for their enthusiastic embrace of this project. Jasmine Mans for making a video congratulating the winners, for her enthusiastic embrace of this project and for providing the winners with signed copies of her latest poetry book. Inila-Wakan Janis for his enthusiastic support of this project, his efforts to promote student participation, and for making the Judges’ trip to the Reservation a very special experience. The Red Shirt School and the Little Wound High School for helping their students get over the finish line to enter and for hosting wonderful award celebrations. A special shout goes out to the singers and the drummers at both schools, who honored LCE and the winners. The Scarsdale Rotary (Scarsdale, NY) for awarding LCE a grant, which funded the school awards and which ensured that the Grand Prize Middle School and High School winners would be earning a substantial award for their schools. The Friends of Jane Chilson Dunne, whose memorial contributions inspired the creation of this project. All content: © 2013, Lakota Children’s Enrichment, Inc.
← Meet the Judges of our Writing Challenge!